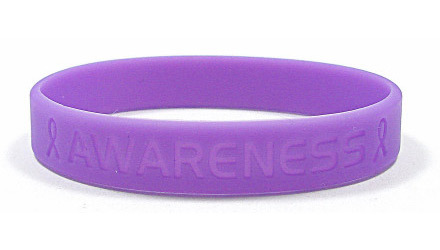 Lavender bracelets read "AWARENESS" with two awareness ribbons on both sides. 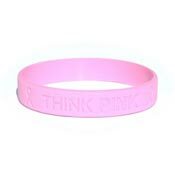 Perfect for any of the lavender causes! 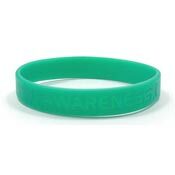 Adult size - This is our "one size for most folks" wristband size and fits wrists up to 7.5 inches.